Suddenly you are worlds way... Enjoy spectacular views across sturdy bridges and manicured pathways that provide safe access into an other wise inaccessible place. 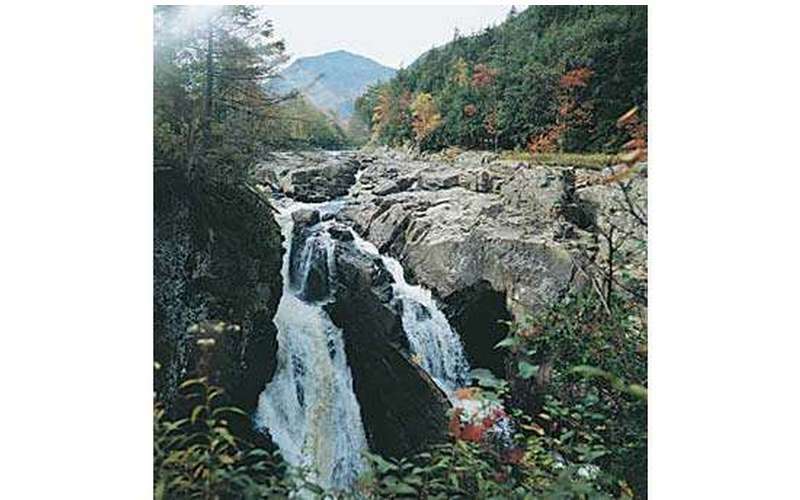 One of the Adirondack's most breathtaking 30 minute walks. 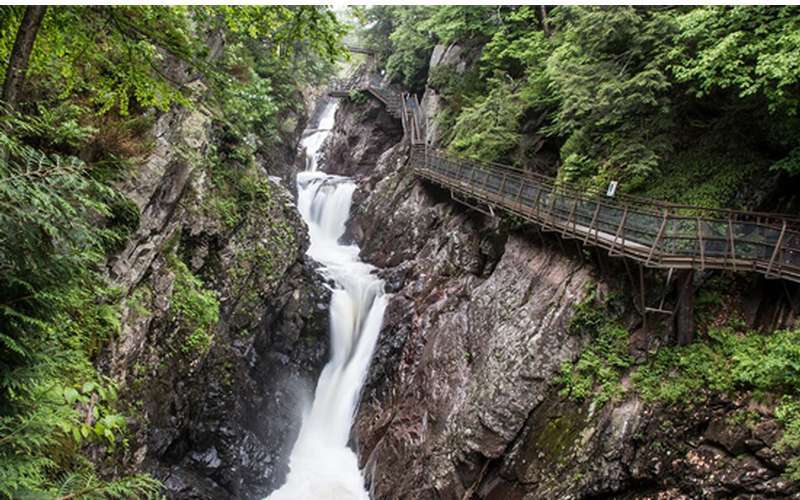 High Falls Gorge is the Adirondacks' most breathtaking year-round 30 minute walk. 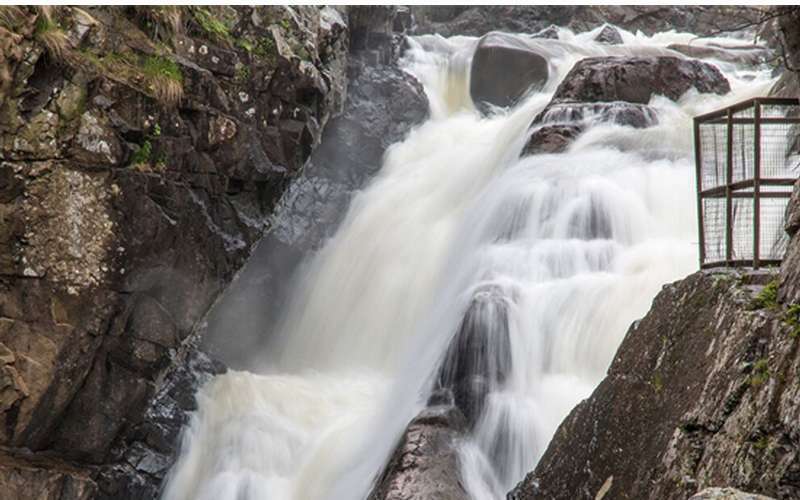 Witness four majestic waterfalls cascading over rocks into a deep crevice carved a billion years ago, hike the nature trail, learn about all the natural wonders of the falls, mine for gemstones, grab a bite to eat at the River View Cafe, and peruse the gift shop. 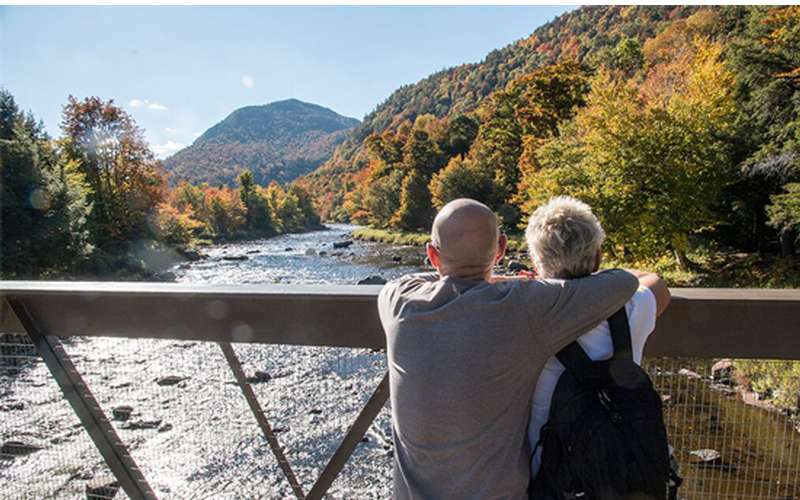 Just a short drive from Lake Placid and one mile from Whiteface Mountain Ski Resort, this is the perfect stop for half a day or half an hour. 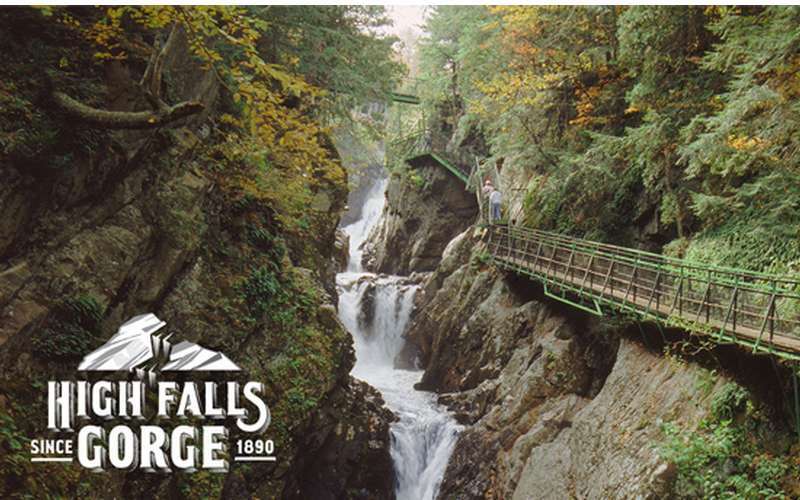 With sturdy bridges, glass floor walkways, and groomed paths and hiking trails, High Falls Gorge is accessible to all ages. A quarter mile round trip, wheelchair accessible path brings guests to the center of the falls, while a half mile round trip trail brings guests on foot to steel bridges and walkways for a closeup view of the falls. Anyone looking for a longer and more challenging hike can explore the nature trail. 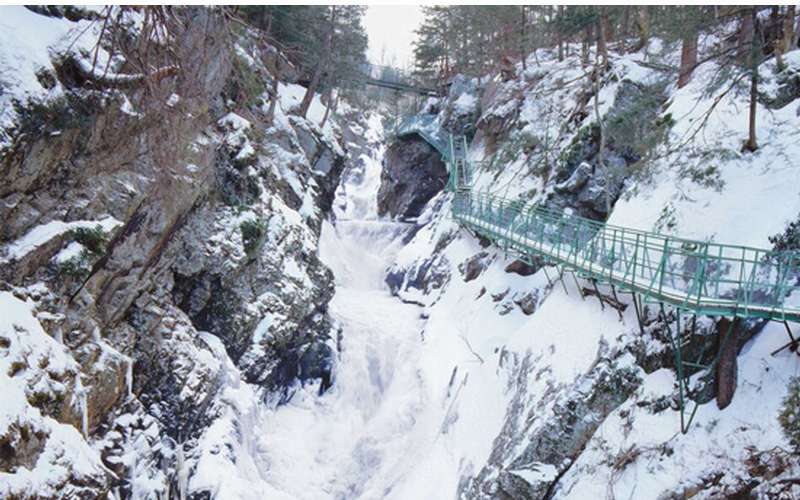 Don't miss out on High Falls Gorge in the winter; rent snowshoes or Yaktrax and set out on the walking and hiking trails to experience the spectacular ice formations. On weekends and holidays follow your hike with a campfire and marshmallow roasting. 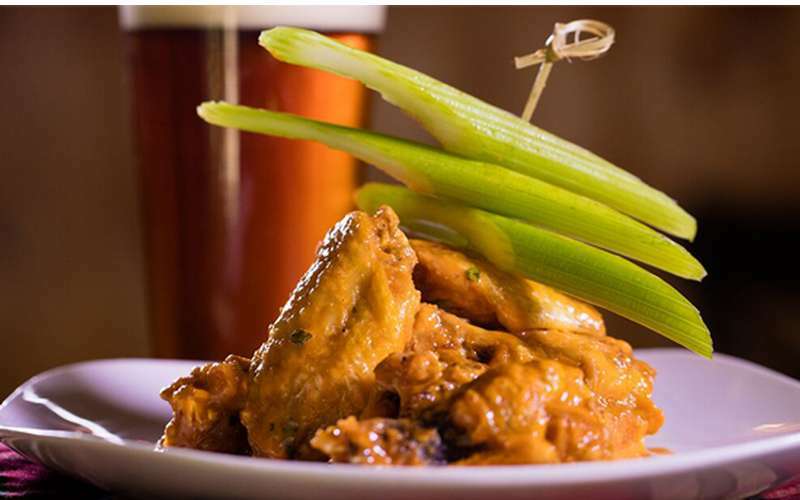 Take a break at the River View Cafe at High Falls Gorge and enjoy a delicious lunch or dinner, baked goods, regional craft beer, and a great selection of New York State wines. Gluten free selections are available! During the summer, order food from the River View Cafe and take it to enjoy at the scenic picnic area along the AuSable River. Round out your trip to High Falls Gorge with a visit to the gift shop full of items that reflect the beauty and nature of High Falls Gorge and the Adirondacks. Regional books, locally made souvenirs, home decor, clothes, gear, and more! Groups are welcome and special rates are available. Perfect for senior groups looking for a relaxing trip with accessible views of the falls, good food, and shopping. School groups and camps can travel back in time as they learn about the wonders of nature at High Falls Gorge. Rock strata, glaciers, volcanic upheaval, and the Adirondacks’ largest pothole! Kids love to head over to AuSable River Mining Company after checking out the falls where they can mine for gemstones and take home all the treasure they find! Visit our website and check us out on Facebook! Never visited the Adirondacks in winter? You're missing out on a lot! 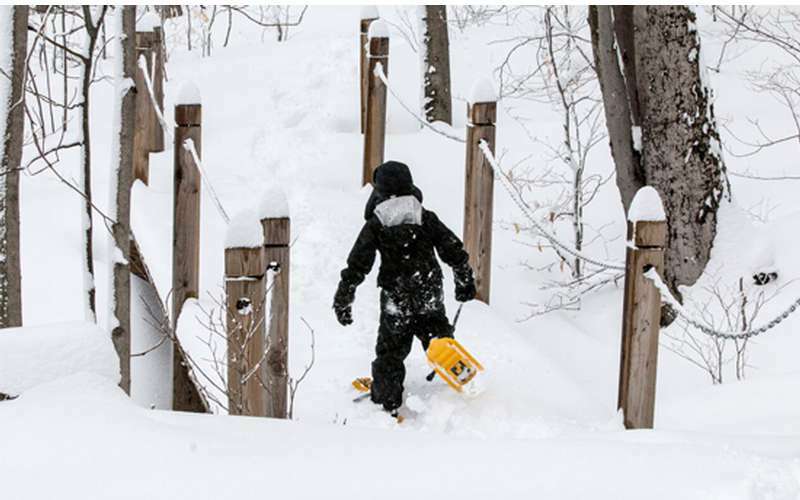 Here are 6 things you should know about this snowy season in the Adirondack Park. Some of the best winter attractions are located in the Adirondacks, but some are hidden in plain sight. For your next winter adventure, added these eight overlooked attractions to your to-do list.